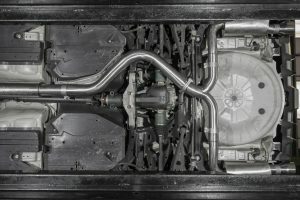 Improving and unleashing the trademark Subaru boxer engine sounds was high on the priority list during development along with improving the gas flows. The decision was made to base our development for the final Subaru WRX STI on large bore 3″/76.2mm pipework (a significant increase over standard) for increased gas flow opening up the opportunities for power gains for our worldwide tuning partners. 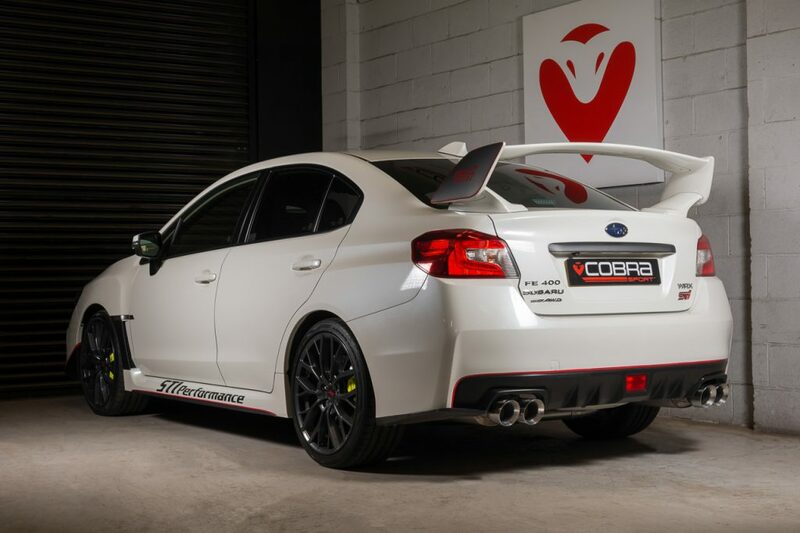 Cobra Sport’s Sales Manager, Matt Thomas, explains “It’s sad to see a final edition Subaru WRX STI having spent so many years developing and tuning these stunning vehicles. We’re confident that we have done the WRX proud with our final product release for the Impreza range giving the car the trademark Cobra Sport sound upgrade to make the most of the unique raw sound of the boxer engine. 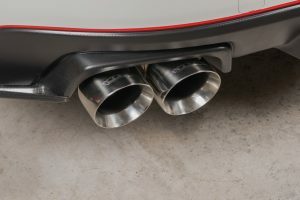 The resonated turbo back exhaust with sports cat proved to be a popular upgrade during testing recording 97.1dB on the static 4,000 which is +16dB over the smaller bore standard exhaust system”. Contact us on 01708 861827 to order yours now!